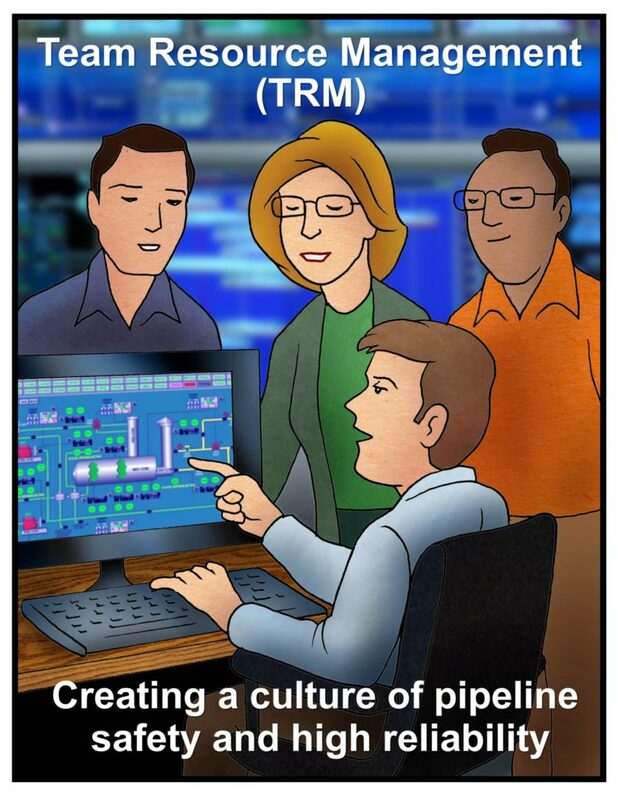 of all available resources to create a culture of pipeline safety and high reliability in control rooms. I suggested the five elements below are necessary for a culture of pipeline safety. Does your control room have a culture where everyone is willing to report errors and near misses? 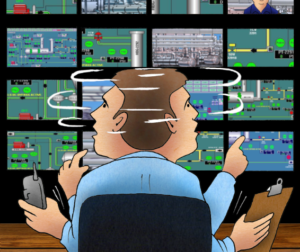 Does your control room have a culture so that everyone is informed by having current knowledge of the human, technical, and organizational factors that affect pipeline safety? Does your control room have a just culture where the boundaries are clear about both acceptable and unacceptable behaviors, and rewards and punishments are also clear? Does your control room have a culture that is flexible and able to make adjustments in the event of changes from normal operations to abnormal or emergency situations? Finally, does your control room have a learning culture to combine willingly all the above elements into conclusions about how your pipeline safety practices are working and the ability to make changes and improvements to those practices? If you can answer yes to those five questions, you are well on the way to creating a culture of pipeline safety. This is critical, because “culture eats strategy for breakfast every day.” (Attributed to Peter Drucker). It might be prudent to perform a more rigorous assessment of your control room culture in addition to these five questions. Now let’s consider the available resources that can be used to build this culture. Does your control room strategy address each of these resource areas? On a scale of one (low) to ten (high), do you have fully developed tactics to incorporate these resources on a daily, weekly, monthly, quarterly, annual basis? Any of these categories of resources can be both enablers and hindrances. Control rooms are “sociotechnical” systems, and most pipeline organizations focus on the technical part of “sociotechnical.” It is a pleasant change to read in API Recommended Practice 1175 Pipeline Leak Detection Program Management about the importance of culture and team training as well as the usual technology and process topics. As you incorporate Team Resource Management training programs, emphasize the resources of people, information, knowledge, and processes. It is likely there are already emphases on technology and equipment. In 2001, the first edition of the book Managing the Unexpected: Assuring High Performance in an Age of Complexity was published. I applied its principles of high reliability to an Operational Excellence program, and those principles worked from the frontlines to the executive offices of one pipeline company. I recommend the principles as part of a Team Resource Management program. How well does your control room practice these principles in order to achieve high reliability? Preoccupation with failure: We must be constantly on the lookout for failures in people, processes, and technology. This requires sensitivity to weak signals and a system that captures near misses, human errors, and abnormal events. Reluctance to simplify: Some of us are quick to label an event in order to avoid dealing with difficult issues. I recall a manager who said, of most errors, that a person with common sense would not have made the error. I had to remind him that common sense is not really common, and we had to look at all potential causes. Sensitivity to operations: Pipeline systems are not static, but dynamic. Operations change not only day to day, but can change minute to minute. All aspects of operations and operations support affect one another, and there needs to be understanding of the connections between all functions. Do not be insensitive to others in the organization. Commitment to resilience: Emergency conditions occur and these events impose quite a strain on everyone involved in the event. An organization should be able to respond appropriately and return to normal operations quickly. No matter how professional the response by the controllers and emergency responders, there will be critiques and analysis. 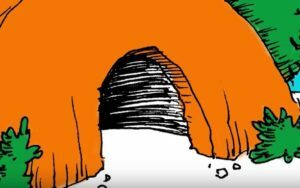 Although unpleasant, the analysis provides an opportunity to learn and grow. Resilience includes the willingness to accept the tough times and avoid downplaying the significance of events. Deference to expertise: High reliability organizations know that the people on the front lines have the necessary knowledge, experience, and intuition. The controllers, operators, technicians, and projects personnel know the problems that impede reliability and likely know how to solve those problems. 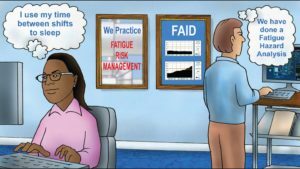 One of the principles that worked best in that Operational Excellence program was involving the people who “do the real work” in implementing practices that reduced errors, accidents, spills, and leaks. Last week, I noticed a man at the airport reading the second edition of Managing the Unexpected: Resilient Performance in an Age of Uncertainty. I wondered if he worked in a control room and wanted to increase his knowledge of high reliability organizations so that he could use all available resources to build a culture of pipeline safety and teamwork. What about the rest of us? Are we making TRM an integral part of CRM?